After breakfast, we will explore wondrous ancient ruins with the South Gate of Angkor Thom, which is famous for its series of colossal human faces carved in stone, the impressive Bayon Temple, the Royal Enclosure, Phimeanakas, the Elephant Terrace, the Terrace of the Leper King, then continue to Preah Khan was built in 1191 during the reign of King Jayavarman VII. He was a warrior king celebrated for reconstructing the Khmer Empire after a period of fragmentation. 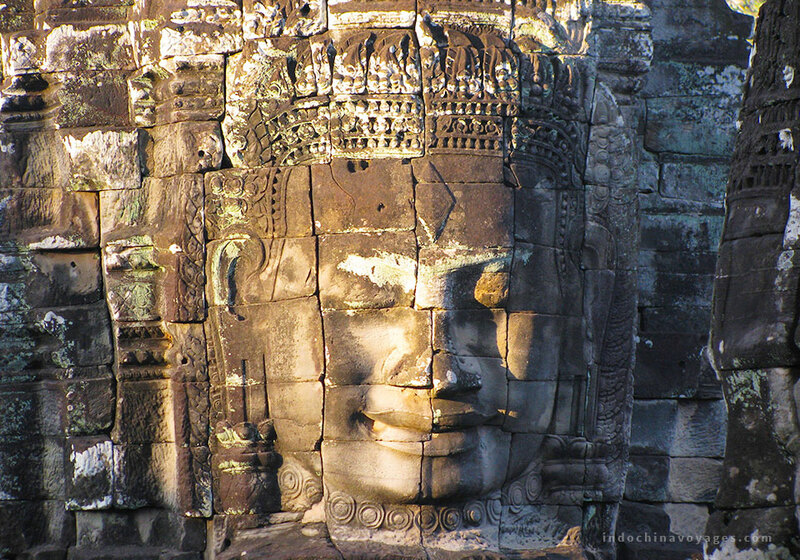 Jayavarman first made a name for himself in 1165, when news of a rebellion reached his ears. Lunch is at the local restaurant. Afternoon, we will visit the jungle covered temple of Ta Prohm is an incredible sight. There are enormous fig trees and gigantic creepers which embrace themselves in the stone foundations of the structure giving the impression of man’s creation being reclaimed by the powerful forces of nature. 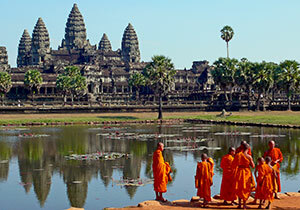 Later this afternoon, we will complete our temple tours to the most complete temple of Angkor Wat. This architectural masterpiece was constructed in the 12th century and covers an area of about 210 hectares. We stroll around this massive edifice, seeing the many galleries on stone walls, libraries, pavilions, courtyards and ponds full of water reflecting the towering temple. Our delight dinner will be at Angkor Village Theater with Apsara dance show. End of services.